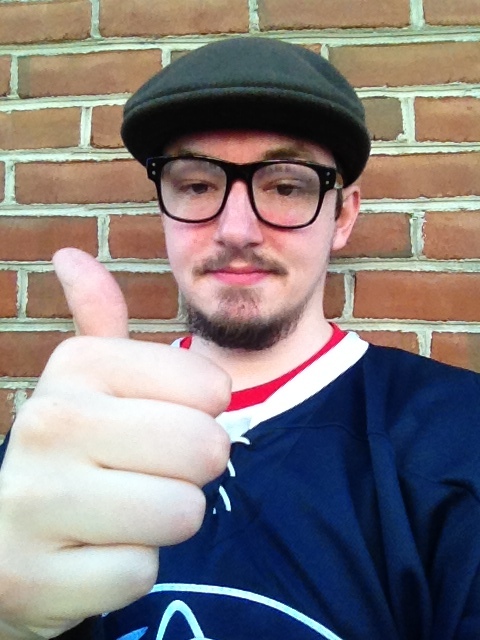 I knew him before he was cool: Who are the hipster pickings of the 2014 NHL draft? Blah, blah, blah…Aaron Ekblad, Sam Bennett, Sam Reinhart and Leon Drasaitl are awesome…blah, blah, blah. Go to any website, draft publication, podcast, TV presentation or youtube video and that is what all the experts would tell you. Tonight, you will also hear other names that have been hyped as players to watch out for in the later parts of the first round, like William Nylander, Kasperi Kapanen, Haydn Fleury, Julius Honka and Thatcher Demko. However, there have been other players that have some nice profiles, yet do not seem to get the draft buzz they deserve. Here are some hockey players to pay attention to as you watch this weekend’s NHL entry draft. Last year, Valeri Nichushkin was selected 10th overall to Dallas. Within an instant, the Stars inserted him into the lineup and had him playing top six minutes for most of the year. Only Aleksander Barkov and Sean Monahan rivaled his offensive output amongst all 2013 draftees. You would think he would go as high as fifth to Carolina, but instead the Hurricanes took Elias Lindholm, who is struggling to find playing time over there. That one may be a bit of a reach of an example, but too many stories like that are happening where Russian born players are being under-drafted because of fear from NHL front offices that once they struggle, they will sulk and move back to their home country and play in the lucrative Kontinental Hockey League. The biggest example this year is Nikolai Goldobin. The Sarnia Sting have a wierd history. Despite never making it passed the first round of the OHL playoffs, they have had Nail Yakupov and Steven Stamkos in their system. This year, they had Nikolai Goldobin and Anthony DeAngelo on their team, yet the Sting could not make the playoffs. With better team mates, such as Sam Reinhart at this year’s prospects game, Goldobin’s skill was displayed in full effect. Earlier this year, he was a top-ten prospect and because of his nationality and his crummy teammates in Sarnia, he may not sniff the first round. That is a shame for someone who could be the most skilled forward in the draft. He may not be the fastest skater, but Nikita Scherbak was able to put up 69 points in 54 games on a crummy Saskatoon team. Unlike many Russians that played in juniors, Scherbak played in the stereotypically hard-hitting Western Hockey League instead of the stereotypically free flowing Quebec Major Junior Hockey League. With all that, scouts have still claimed that they never bothered to see him play this season, all because they were worried he would leave to go back in Russia and play at the KHL. Sigh!!!!! One last Russian to check out is Kamenev. Despite having a second round grade, he has played 16 games in the KHL and was one of Russia’s best forwards at the World Under 18s with seven points in five games. Scouts think that in the right slot, he could be the biggest steal in this year’s draft. Then again, how many saw him and how many were in the mood to watch him? Even though his dad was part of the coaching staff with the ZSC Lions, Fiala thought it was best to improve his draft stock by leaving Switzerland and play in the Swedish Hockey league. After putting up 53 points in 50 junior games with HV71, he was promoted to the senior ranks and put up 11 points in 17 games. Those scoring numbers, along with being a point-per-game player at the World Junior and Under-18 tournaments show how much of a skilled player Fiala is. Scouts have literally used the word “artist” when describing him and have stated that only Willie Nylander rivals him in the stick handling category amongst this year’s draft class. Those are beautiful things to see for a team that is interested in him and drafting in the 10-20 range. Another player that left his home country to better expose himself to NHL scouts is Pastrnak. While being the best forward for the silver medal winning Czech Under-18 team, Pastrnak performed really well in his first year of professional hockey in Sweden. While playing for Sodertalje in the second division, Pastrnak racked up 8 goals and 24 points in 36 games. Despite weighing only 167 pounds, his pace and puck pressure were used really well to create offensive chances. With more years to develop, Pastrnak could become one of the more underrated forwards in the draft. When the United States won the Under-18 World Championships this Spring, they did so with a top line of guaranteed first rounder Sonny Milano, 2015 top three pick Jack Eichel and Mr. Tuch. Already at 6’3″ and 213 pounds, he doesn’t need to grow anymore and he uses his size to his advantage and has one of the hardest shots in the draft. “I’ve seen him blast it through a goalie’s glove,” praised one scout. Despite his size, Tuch uses it well with a good reach and use of hands. It also helps that Tuch will be playing in Boston College next year, one of the most established NCAA hockey program in the country. If your team picks him, start to think of weird puns to use when he plays for your team, like “Tuch really tucked that guy’s shirt into the boards”. While great defenseman are at a premium for this year’s draft, Jack Glover was another member of that gold medal winning USA Under-18 squad. Scouts love how fast he can skate for his size at 6’3″ and has a strong right-handed shot, but some were scared off for his inconsistent play earlier in the season. The scouts that stuck around throughout the year saw that the mistakes were decreasing and see a player that has a very high ceiling. Playing at the University of Minnesota can only help his development. Overall, can Glover fill out the rest of his 190 pound frame and develop a mean streak will be the questions everyone is hoping will be answered. Hey, didn’t you used to like them a lot? I definitely remember earlier this season that McKeown was considered a potential top-ten pick. However, scouts think that he “has an identity crisis as to what kind of player he thinks he is and what type of player he has to be”. Quotes like that about McKeown pop up despite scoring 43 points in 62 games for Kingston while playing in big minutes and in all situations. He also represented Canada at the Under-18s but only had one point in seven games. That being said, Japers Rink put out an interesting piece about the success rate of certain types of Canadian junior defenseman and it favors someone like McKeown. Maybe we all have an identity crisis and don’t know which type of defenseman we need to improve our hockey team. The next two players are some of the biggest head cases the NHL will introduce in a while. The first is DeAngelo, who is considered the most skilled defenseman in the draft by far. However, he has been suspended way too many times due to arguing with the refs and throwing out racial slurs during games. Behavior like this, in any walk of life, can not be tolerated and it will take a franchise with the right resources to let him develop as a hockey player and as a decent human being. Since Sean Avery, I can not think of a more controversial hockey player that has come around like DeAngelo. Which leads us to Josh Ho-Sang. As much as he fits the bill, writers have been talking about him so much this week, that his selection is not hipster enough anymore. That’s why everything about him will be lined through. He’s too cool to not be crossed out. I’ll just go ahead and leave you this article by advanced stats hater Steve Simmonds. You got to admit, some of the quotes from this piece are off the charts. Despite Thatcher Demko getting all the praise in the United States junior ranks, another American to pay attention to is Nedeljkovic. Despite being a starter for only the last year and a half for Plymouth in the Ontario Hockey League, “Ned” has delivered and then some with a career OHL save percentage of .925. This is considering that his teammates gave up a whopping 35.7 shots per 60 minutes this season. That production helped propel him to become the starting goaltender for the United States at the Under-18 World Championships and leave the tournament with a gold medal. Even though Nedeljkovic is not a big man at 6’0″ and 183 pounds, scouts consider him the best athletic goaltender in the draft and an extremely calm presence in the locker room. I’m sorry, but I can’t get over those glasses of yours. Too much hahahaha!! Hope you get to Philly safely tonight to see the NHL draft!! ← Which teams are in the driver seat for the 2014 NHL draft?